Absolutely beautiful, just like your little girl! Solid 14k gold heart pendant custom engraved. Pristine front side engraving is included with the following options: engrave your child's name, initial, or even a fancy monogram. Additional option on the back for a small message or note as well. 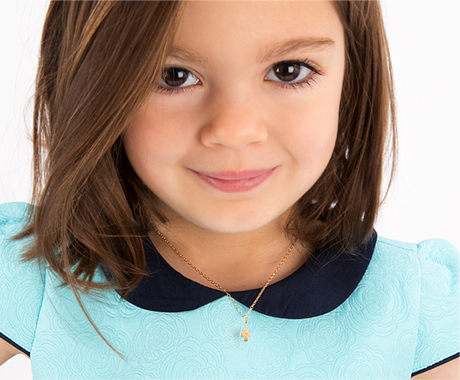 Personalize even more with your choice of our wide variety of 14k gold charms! An excellent, quality gift for any special occasion that will be cherished for a lifetime.